304 Stainless Steel constructed provides great corrosion resistance and antirust ability for a long service life. 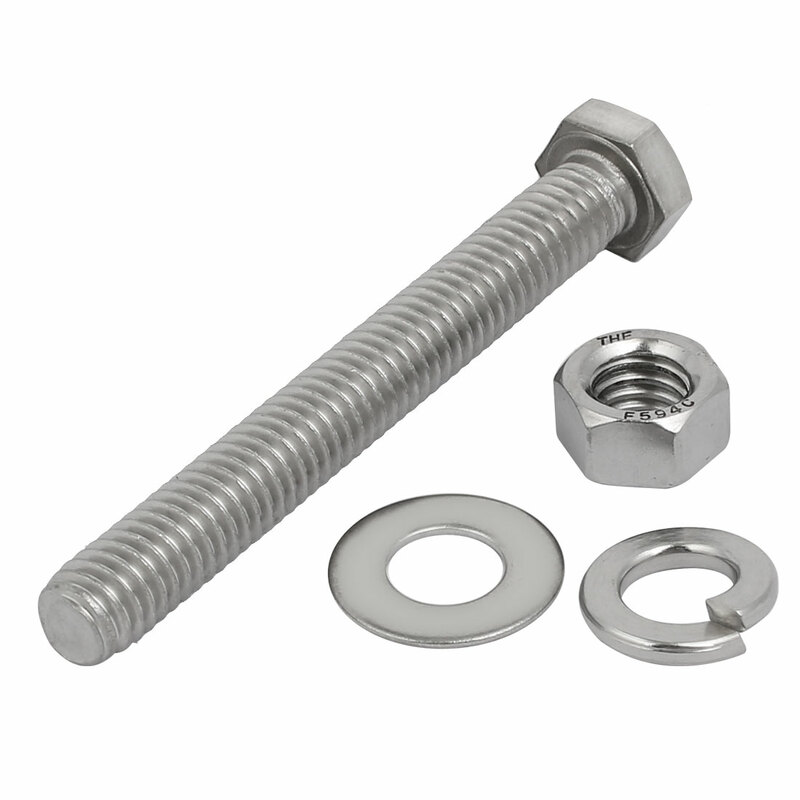 Used for assembly fastening, fits with the nuts and washers for fastening the connection of two parts. Widely applicable for indoor or out door in automotive, industrial, shipbuilding, household etc. Package Content: 2pcs of each Hex Bolts, Hex Nuts, Flat Washers, and Split Lock Washers.